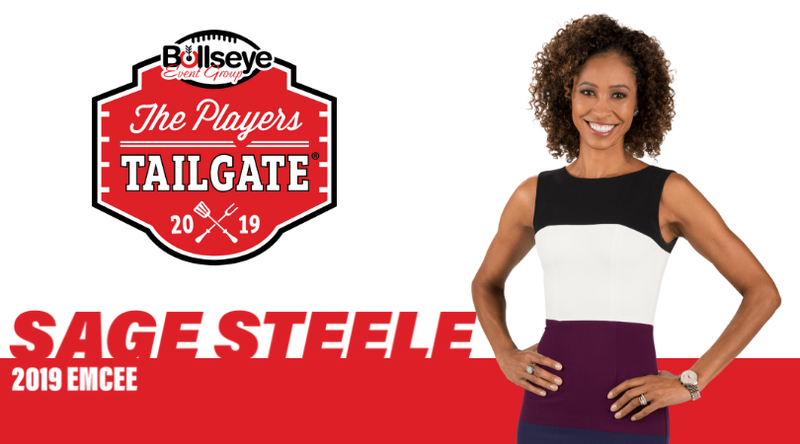 Bullseye Event Group is excited to welcome ESPN’s Sage Steele as the emcee of the 2019 Players Tailgate at Super Bowl 53 in Atlanta! One of ESPN’s most popular and respected commentators, Steele is currently serving as the anchor for the 6 p.m. ET SportsCenter with her co-anchor Kevin Negandhi. Steele also serves as the lead host for SportsCenter on the Road, which includes on-site, day-long and pre-event coverage for the biggest sports events of the year, including the NBA Finals, the Super Bowl, World Series, the Masters, the College Football National Championship and many more. Named SportsCenter on the Road host in September of 2016, Steele has showed her great range in sports by formerly hosting NBA Countdown on ESPN and ABC for four seasons. For five years prior to the NBA assignment, Steele was a full-time host of ESPN’s flagship SportsCenter show, and had previously contributed to ESPN First Take, Mike & Mike in the Morning, and SportsNation. Steele hosted SportsCenter’s daytime coverage of the NBA Finals in 2012 and 2013, and has covered every NBA Finals since 2012. Steele joins host and celebrity chef Guy Fieri as he once again returns to create the VIP menu, joined by the greatest caterer in America, chef Aaron May, and a team of celebrity chefs hand-selected by Fieri himself. Steele, Fieri and more will all be on-hand to not only provide this culinary experience of a lifetime, but to hang out and meet all VIP guests at the 2019 Players Tailgate. The menu is still in the works and will be released in the near future on BullseyeEventGroup.com. In recent years, the Players Tailgate party at the Super Bowl has earned a reputation of hosting some of the biggest celebrities in the industry, including 2016 emcee Erin Andrews, 2018 emcee Charissa Thompson, Victoria’s Secret model Adriana Lima, world-renowned tennis pro Caroline Wozniacki, the Zac Brown Band and Super Bowl champions and perennial Pro Bowl players of the past and present.